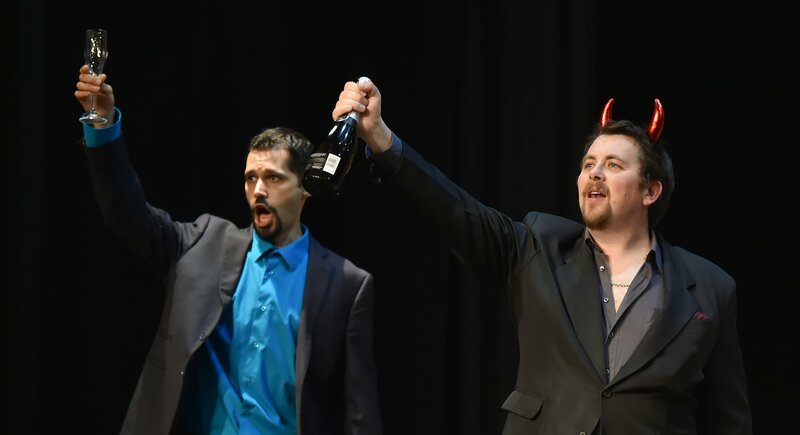 Opera Don Giovanni draws former Dunedin singer Robert Tucker back to the city while it brings Australian baritone Adam Jon here for the first time. 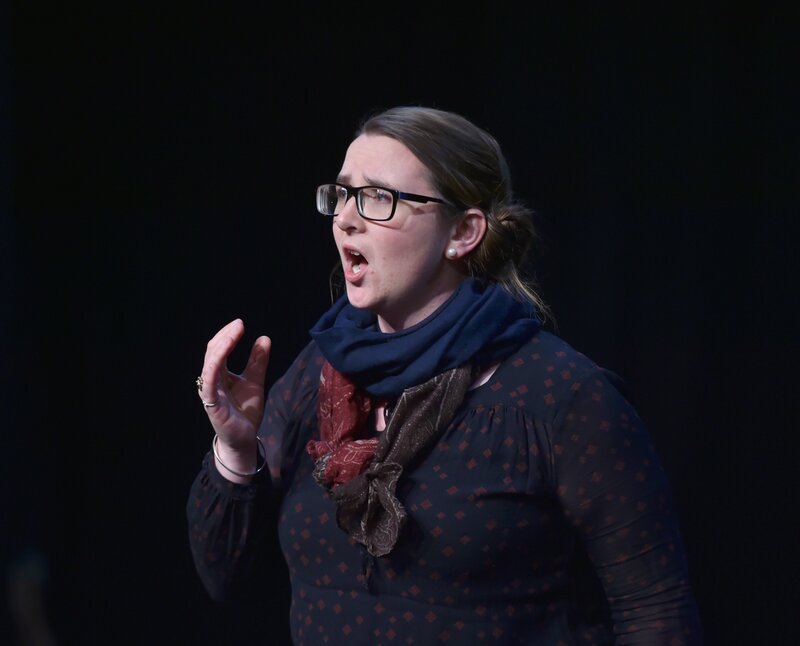 They tell Rebecca Fox about Opera Otago’s latest production. Baritone Robert Tucker is a bit bemused by how he became the "old man'' of Opera Otago's production of Don Giovanni. At only 37, he is not really "old'' but, as the majority of the cast are students or recently graduated from music programmes in Otago and Australia, Tucker has assumed an elder statesman role. He is enjoying passing on tips where he can. Australian-born, Tucker grew up in Dunedin and studied at the University of Otago - he was the 2002 Otago Daily Times Aria winner - before heading off to further his studies in Perth. He has been a professional opera singer since 2005 - he was a finalist in the Lexus Song Quest that year - and has sung in operas in England, Scotland and Japan. But with a young family, he and his wife made the decision to return to New Zealand, setting up in Blenheim in 2012. While it has been 10 years since he last performed in an opera in his old home town - he was Jimmy Sullivan in Anthony Ritchie's God Boy in 2008 - he has not been a total stranger, performing in a concert with the Dunedin Symphony Orchestra in 2012 and then the Christmas Oratorio with the City of Dunedin Choir in 2016. He is looking forward to playing a modern-day "dissolute nobleman'', Don Giovanni, in the opera which has a bit of everything - love, violence, drama, comedy and, of course, singing. Coming back to Dunedin for this production has meant he can share some of that experience with younger cast members, such as young Australian baritone Adam Jon. It is his first role in New Zealand and he was selected by director John Drummond for the role of Leporello. The role is slightly different from the traditional Leporello - a servant who continues to work for Don Giovanni, even though he is treated badly. Tucker, who plays Don Giovanni, says it is a "tricky'' situation with Leporello as there is always the question of why he stays with Giovanni when he is treated so badly. Jon (31) says there is an "interesting twist'' to the situation, but he will not reveal more. Added to the challenges for both is the decision to perform the songs in Italian but the dialogue in English so the audience can easily follow the story. Opera Otago used the same format for its production of the Marriage of Figaro in 2012. "It helps people grasp what is happening more easily and is easier on the younger singers,'' Robert says. Jon says it can be tricky getting the mind to go from one language to the other. Making the most of opportunities is Jon's aim. The Queensland-raised baritone moved to Melbourne three years ago to pursue singing. Then, through the Acclaim Awards, he won a fellowship to study in Italy for three months. "It was fantastic, life changing. I learnt so much about myself and what I'm able to do to develop my voice. Drummond says Opera Otago aims to give young singers the opportunity to perform in a professional opera. With the wonderful singers trained at the University of Otago this works well, he says. It's especially important as Don Giovanni is the most difficult and challenging of Mozart's "big four'' operas. While the music - under the direction of Drummond's son Jonathan, on a break from his work as a conductor, pianist and arranger in the United Kingdom - remains true to the original 18-century opera, the story is viewed in a more modern way. The opera is based on the story of Don Juan, a fictional character whose conquests of women were legendary. In the 1780s a man who conquered women was seen as a hero. In 2018, with the stories around Harvey Weinstein and the #MeToo movement, it is viewed differently. "This production of the opera confronts the question of Don Giovanni's character and actions by updating the story to Dunedin in the present. The approach has enabled them to bring out some aspects of the original opera that are often neglected. To do this, Opera Otago has modernised the costumes and the set reflects the streets of Dunedin. After performing in Don Giovanni, Jon is heading to Wales with the Kiri Te Kanawa Foundation. Tucker, on the other hand, will be staying closer to home. After some shaky times, opera on a national level was doing really well but regional opera always has its challenges, he says. In the United Kingdom, work dried up fairly quickly when the global financial crisis hit. Drummond says while Opera Otago still finds it challenging to raise funds, it is succeeding and has plans for the future. Don Giovanni - Lover Or Predator? Season runs until August 25.